Game 1 – Wed., Apr. 14 – Penguins at Albany (Times Union Center; Albany, NY), 7:00 p.m.
Game 2 – Fri., Apr. 16 – Penguins at Albany (Times Union Center; Albany, NY), 7:00 p.m.
Game 3 – Sun., Apr. 18 – Albany at Penguins (Mohegan Sun Arena, Wilkes-Barre, PA) 3:05 p.m.
Game 4 – Mon., Apr. 19 – Albany at Penguins (Mohegan Sun Arena, Wilkes-Barre, PA), 7:05 p.m.
*Game 5 – Wed., Apr. 21 – Penguins at Albany (Times Union Center, Albany, NY), 7:00 p.m.
*Game 6 – Sat., Apr. 24 – Albany at Penguins (Mohegan Sun Arena, Wilkes-Barre, PA), 7:05 p.m.
*Game 7 – Sun., Apr. 25 – Penguins at Albany (Times Union Center, Albany, NY), 5:00 p.m. 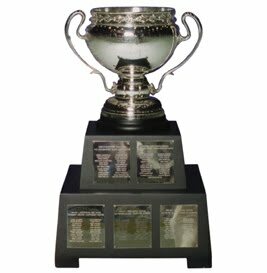 This is the first ever meeting of the Penguins and the River Rats in the Calder Cup playoffs. Two current Penguins players (Wyatt Smith and Deryk Engelland) have won Calder Cup championships. Smith won with the Milwaukee Admirals in 2003-2004 (Milwaukee defeated the Penguins to do so). Engelland was part of the Hershey Bears squad that won in 2005-2006 and also went to the Finals in 2007 with the Bears when they lost to the Hamilton Bulldogs. Several members of the Penguins, including John Curry, Ben Lovejoy, Dustin Jeffrey, and Mark Letestu have been through at least one playoff run with the Baby Pens. On the River Rats, Oskar Osala was a member of the Hershey Bears’ championship team in the 2008-2009 season. Goaltender Justin Peters has been with the River Rats for four seasons and was a member of the 2007 and 2008 rosters in Albany’s brief playoff runs. The Rats also have nine other players with playoff experience, but in recent years, the Rats have been eliminated in the first round of playoffs whenever they make it there. There is not much disparity between the leading scorers on both teams (Dustin Jeffrey and Jerome Samson); except the fact that Samson is more of a pure goal scorer while Jeffrey is more of a playmaker. The Penguins have put up more than five goals on eight occasions this year; while getting five goals in nine different games, but have been shut out six times. Albany has put up more than five goals in four regular season games; while tallying five in eight games. They were also on the end of two crushing losses; including a 10-4 and an 8-3 loss to Hershey. To be fair, the Penguins have also lost five goal games against Hershey. Albany has only been shutout once this season; back on November 4 to the Binghamton Senators by a 2-0 deficit. The eleven defenseman that have seen playing time with the Penguins this year have a combined +38 rating; with rookie Brian Strait leading the way with a +22 rating. Albany’s defensemen have a +26 rating; with Jonathan Paiement and Jamie McBain at the head of the pack with +11 ratings. The River Rats also have two defensemen in their top ten scoring ranks (McBain and Bryan Rodney); while the Penguins have only one (Chris Lee). Albany’s defense has helped shutout opponents three times this season. The Penguins’ defensive corps have earned their team six shutout victories. Brad Thiessen has truly found his game in the last two months of the season. Justin Peters has been Albany’s main goaltender this year and has performed similar to Thiessen all year, but neither goalie is well tested in the Calder Cup playoffs. Thiessen is a rookie being thrown into a high pressure situation he is really not familiar with, while Peters has not gotten the chance to prove he can come up big when his team's postseason hopes are on the line. Furthermore, the Pens can count on John Curry, who led the team to the Finals as a rookie, if Thiessen begins to struggle. The power play and the penalty kill are other areas where both teams are similar. The Penguins are significantly worse off when on special teams on the road; with the power play working at 12.8% and the penalty kill working at 77.5%. This could be a problem for the Pens since they do not have home ice advantage in this series. However, the Penguins have the fifth best home penalty kill and have a tenth ranked power play at home. Albany is almost equally competitive in special teams both at the Times Union Center and away from it. The Penguins were lucky to even make the playoffs this year; exceeding all expectations for such a young team. Several of the team’s rookies such as Eric Tangradi and Brad Thiessen have found their games in the second half of the season. However, there is a possibility that mistakes such as last second goals and long power play droughts could hurt the team as they enter the postseason. Albany, meanwhile, has not had many significant runs at the postseason in recent years. Even though they have plenty of talent on their roster, no one has really emerged as a solid leader. Meanwhile, the Pens have veterans with plenty of playoff experience; including runs at the Calder Cup Finals. That said, although the River Rats are lacking in some areas, the Penguins will not be looking at a blowout series.